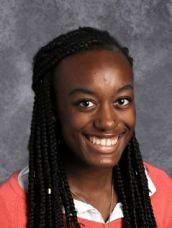 CHARLES CITY — Kerris Roberts broke down Charles City’s defense for 26 points and led Waterloo East to a 68-49 Class 4A girls’ regional basketball win Wednesday. The Trojans (3-16) got off to a slow start and trailed 10-9 after the first quarters. They turned it around in the second quarter to lead 32-15 at halftime. Ten players broke into the scoring column for East. Amanee Clark had 15 points and Ellasa Horton seven. 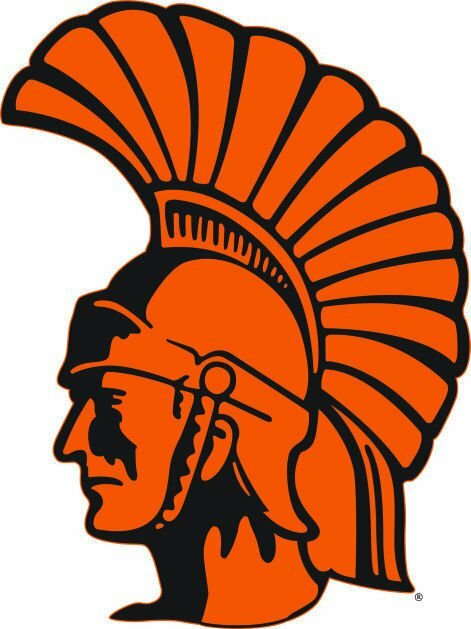 The Trojans advance to play at Waverly-Shell Rock Saturday while Charles City wraps up an 0-20 season. JESUP 59, HUDSON 49: Jesup needed all four quarters to shake Hudson Wednesday in a Class 2A regional matchup. The J-Hawks (15-7) led by just four points going into the fourth quarter, but were able to stretch their lead and close it out from the free throw line where they hit 19 on the night. Emily Treptow led Jesup with 17 points, Payton McHone had 10 points and 11 rebounds and Brianna Lingenfelter had seven assists. Maddie McKenna’s 14 points topped Hudson (10-11). Jesup plays at Grundy Center Friday. DIKE NEW HARTFORD 57, OGDEN 34: Dike-New Hartford led 35-7 at halftime on the way to a regional blowout Wednesday. Four players scored in double figures for the Wolverines (18-2), led by Morgan Weber with 14 points. Ellie Foster and Katie Knock added 12 each and Sydney Latwesen 10. Dike-New Hartford faces Van Meter Friday in Huxley. APLINGTON-PARKERSBURG 64, ST. EDMOND 24: Aplington-Parkersburg’s defense forced 35 turnovers as the Falcons improved to 21-2 and cruised into the second round of regional action. Megan Johnson led A-P with 16 points. The Falcons bolted to a 31-11 halftime lead. GLADBROOK-REINBECK 52, JANESVILLE 44: Gladbrook-Reinbeck upset Janesville on the Wildcats’ home court, thanks in large part to a 33-4 advantage in free throw attempts. Taylor Gienger scored 19 points for G-R (10-11) while Alisa Bengen had 16 points and 12 rebounds for Janesville (16-5). Janesville led 23-20 at halftime, but the Rebels went on a 20-6 run in the third quarter to turn the game around. They avenged an 18-point regular-season loss to the Wildcats. Gladbrook-Reinbeck plays Central Elkader Friday. DECORAH 47, INDEPENDENCE 16: Decorah had no trouble with Independence in 4A regional action. Emma Nierengarten led the Vikings (5-17) with 13 points. Decorah plays at Mason City Saturday. HUDSON (10-11) — Morgan Galbraith 8, Maddie McKenna 14, Abby Gaudian 3, Whitney Galbraith 6, Jessica Carolan 6, Sarah Hansen 10, Ashlynn Kuhn 2. JESUP (15-7) — Payton McHone 10, Emily Treptow 17, Amanda Treptow 9, Brittany Lingenfelter 7, Brianna Lingenfelter 6, Jaima Thome 10. OGDEN (14-9) — Meredith Adreon 9, Denali Loecker 2, Faith Mohr 3, Kaylee Lingren 1, Abby Langel 11, Gabby Ross 5, Allea Klauenberg 3. DIKE-NEW HARTFORD (18-2) — Ellie Foster 12, Sydney Latwesen 10, Rylee Wessely 2, Morgan Weber 14, Katie Knock 12, Sophia Hoffmann 4, Carlee Dove 1, Jill Eilderts 2. ST. EDMOND (3-19) — Abby Landwehr 1, Macey Mason 3, Jacque Oberg 13, Cambrie McBride 4, Brea McNeil 3. APLINGTON-PARKERSBURG (21-2) — Sophia Jungling 10, Megan Johnson 16, Sommer Stotler 2, Reagan Schneiderman 2, Jenna Bruns 12, Avari Everts 2, Kaitlin Cuvelier 3, Ainsley Brungard 3, Jaycie Ellis 10, McKenna Oldenburger 4. GLADBROOK-REINBECK (10-11) — Belen Ellenberger 11, Taylor Gienger 19, Mahayla Olson 3, Reagan Skovgard 8, Saari Kuehl 9, Rachel Cooley 2. JANESVILLE (16-5) — Grace Hovenga 4, Lily Liekweg 8, Bailey Hoff 2, Alisa Bengen 16, Kennedy Rieken 6, Briana Baker-Bruce 6, Gabby Gergen 2. DECORAH (5-17) — Ambria Pipho 6, Abigail Milburn 4, Amana Kuehner 5, Emma Nierengarten 13, Ashley Schneberger 4, Skyler Malone 4, Nia Whitsitt 11. INDEPENDENCE (1-19) — Alaina Butters 4, Nikki Higgins 3, Taylor Wendt 5, Sophie Wolf 2, Mary Stivers 2. HUDSON (10-11) -- Morgan Galbraith 8, Maddie McKenna 14, Abby Gaudian 3, Whitney Galbraith 6, Jessica Carolan 6, Sarah Hansen 10, Ashlynn Kuhn 2. JESUP (15-7) -- Payton McHone 10, Emily Treptow 17, Amanda Treptow 9, Brittany Lingenfelter 7, Brianna Lingenfelter 6, Jaima Thome 10. OGDEN (14-9) -- Meredith Adreon 9, Denali Loecker 2, Faith Mohr 3, Kaylee Lingren 1, Abby Langel 11, Gabby Ross 5, Allea Klauenberg 3. DIKE-NEW HARTFORD (18-2) -- Ellie Foster 12, Sydney Latwesen 10, Rylee Wessely 2, Morgan Weber 14, Katie Knock 12, Sophia Hoffmann 4, Carlee Dove 1, Jill Eilderts 2. ST. EDMOND (3-19) -- Abby Landwehr 1, Macey Mason 3, Jacque Oberg 13, Cambrie McBride 4, Brea McNeil 3. APLINGTON-PARKERSBURG (21-2) -- Sophia Jungling 10, Megan Johnson 16, Sommer Stotler 2, Reagan Schneiderman 2, Jenna Bruns 12, Avari Everts 2, Kaitlin Cuvelier 3, Ainsley Brungard 3, Jaycie Ellis 10, McKenna Oldenburger 4. GLADBROOK-REINBECK (10-11) -- Belen Ellenberger 11, Taylor Gienger 19, Mahayla Olson 3, Reagan Skovgard 8, Saari Kuehl 9, Rachel Cooley 2. JANESVILLE (16-5) -- Grace Hovenga 4, Lily Liekweg 8, Bailey Hoff 2, Alisa Bengen 16, Kennedy Rieken 6, Briana Baker-Bruce 6, Gabby Gergen 2. DECORAH (5-17) -- Ambria Pipho 6, Abigail Milburn 4, Amana Kuehner 5, Emma Nierengarten 13, Ashley Schneberger 4, Skyler Malone 4, Nia Whitsitt 11. INDEPENDENCE (1-19) -- Alaina Butters 4, Nikki Higgins 3, Taylor Wendt 5, Sophie Wolf 2, Mary Stivers 2.